Tag Archives for " mindset coach "
I'm pretty sure we all know this, but what if you're stuck? How is the Wealthy or Poor mindset affecting your game ? Take a listen. Literally, I’m sure every single one of us has been there. When you feel like you can;t even get out of bed, the stress and anxiety is simply too high. Here's a quick 5 step process that will help. In addition to this, I just want to say that TIME is a great healer too, and eventually, you'll see that there is a break in the 'storm' where you do begin to feel better and the world not look so bleak. Tap into that break in the storm - it does come eventually given enough time. But when you start to give it attention, and sometimes it doesn't need much (although sometimes it does!) the issue can be resolved quickly. Obviously the best thing would be to never let things 'get away from you' - but as we all know, life doesn't quite work like that ! In today’s blog post, I’m going to be sharing a video by Goalcast to inspire everyone to repurpose your weapon to eliminate its use of destruction. World Poetry Slam Champion Rudy Francisco delivers a powerful performance on a world re-imagined – where weapons are re purposed into instruments and peace starts from within. In today’s blog post, I’m going to be sharing a video by Goalcast to explain why we believe in superheroes – and no we don’t mean those with superpowers who flies in the sky. Fleeting moments, a fear to jump, and a journey worth taking: IN-Q delves into why the life you live is greater than any single moment. Hope this video helps and go give Goalcast's video a like and check out ​their Youtube channel. Replay Podcast 119 – But What If I Fail? What it's really saying is 'keep going' and 'you're worth it' and 'You'll get there, I'm just testing you'. Our habits is basically what gets our results. It's not being clever (We all know clever but poor people). It's not just hard work (although hard work is a prerequisite). It's both of those, done on a regular basis, day in and day out. If you're not getting the results you want right now, then chances are, a quick change of your habits will help. Read the title, again and again, until it becomes a part of your mindset. It’s about time we talk about time because time goes on fast, doesn’t it? One day you’re in high school, the next you’re waking up to get to work. And as we grow, it seems as if time speeds up for us and who knows how much time left we actually have. That’s why I say, there’s no time to waste. You could be 50, you’re broke and looking back wishing you hadn’t spent a lot of time playing video games and spent it looking for a better job. Which leads to regret and that’s a really heavy burden to carry, you don’t wanna live with regret. A wasted time is a time that doesn’t provide your life progress. Mindset & Hustle Show – My definition of AMAZING and getting more success than the next person. In todays episode, shot at the beach, I talk about how doing more than the next person can make a difference in your life. Take a listen, let me know what you liked the most and we'll speak soon. So many distractions to take us off our course. So what do you do exactly to stay the course? 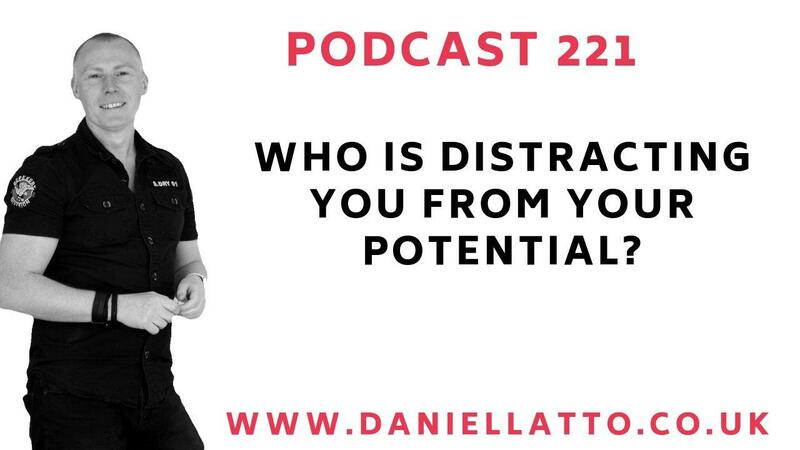 In this podcast I explain why pretty much most things no have impact on my journey and my destination in what I'm wanting to achieve. 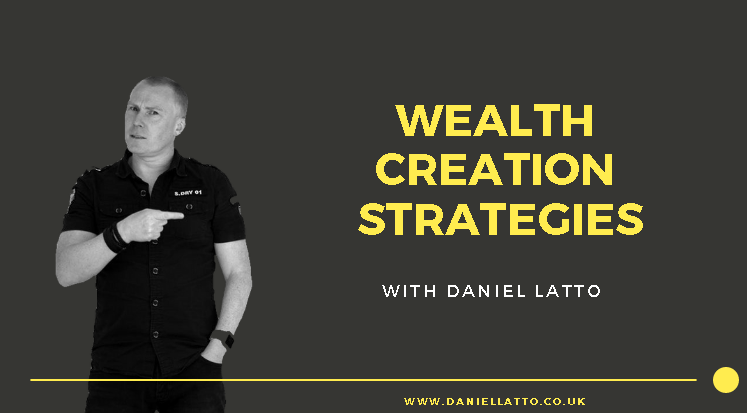 It's a great podcast and we cover quite a few different topics - so dive straight in and let me know what you think. [Caution : Dan Rant!] We all worry about the future. It's only natural. But when you allow that worry to prevent you from taking action, then we have a problem. Look - there are always going to be things that get in your way, from the Government, to your Friends & Family, from the very systems that are put in place to try and keep you down and distracted. But worrying about what may happen needn't prevent you from attaining your goals. But listen - it's a passionate podcast that I hope you'll embrace and go and chase after your dreams. You deserve them to come true. 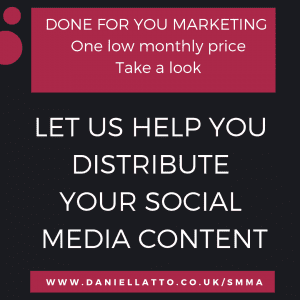 Let me know how you're getting on ! In today's blog, I'm going to be sharing a video by GaryVee which will allow you to look at life at a different angle, that not everything should be happy and positive. A straightforward reminder that if you're not happy, it doesn't mean that you're doing something wrong. Every morning, when I wake up, I pretend that my family dies because if you can really feel that like I can, nothing else could possibly upset you. Everything comes down to perspective and understanding how good it is that we really have it. Hope this video helps and go give GaryVee's video a like and check out their Youtube channel. In this blog post, I will be sharing a video by Goal Guys which will mold or change one's perception on using self-help books. Self-help books have been around for a long time but the main question is how truly effective it is from a normal person's point of view and in this video we see a person's journey as he follows a self-help book. Hope this video helps and go give Goal Guy's video a like and check out his Youtube channel. 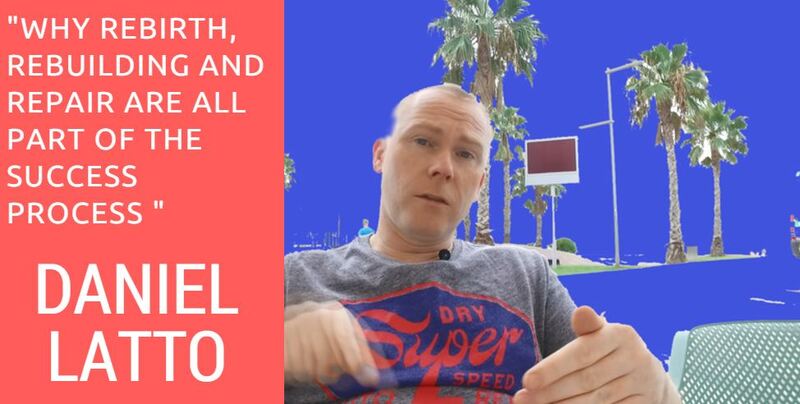 I filmed this video just before I left for the Cannes Yacht Festival having finished a week of Mindset Training. So, in this video I talk about some of the obstacles we face, and how in our overcoming of them, it allows us to grow as individuals, and face tougher challenges in the future. Allow yourself to go through them, take the learnings and grow as a person.